Exclusive antioxidant blend with patent-pending technology that protects, corrects and prevents damage. The Next Generation of Vitamin C – Corrects, Defends and Brightens! 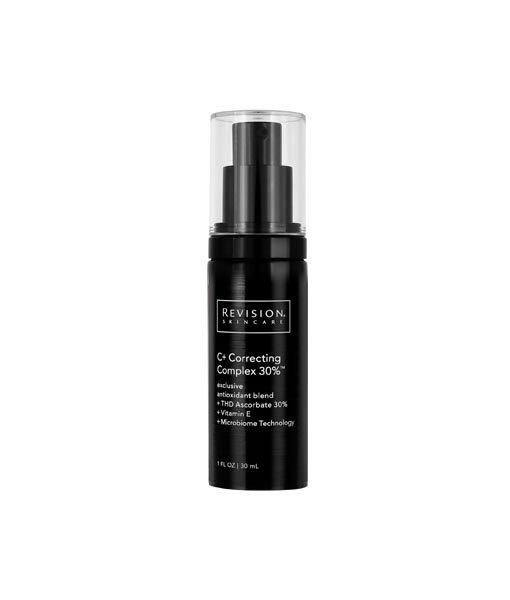 The Revision Skincare Vitamin C+ Correcting Complex is formulated with MelaPATH™ technology that defends and corrects against environmental aggressors generated by Urban Dust and Blue Light (HEV), brightens the skin, and supports the skin’s microbiome. The lightweight lotions contain 30% THD Ascorbate, an extremely stable and effective form of Vitamin C. This Revision Skincare product is great for all skin types and it is time-released for maximum efficacy with minimal irritation, even on sensitive skin. 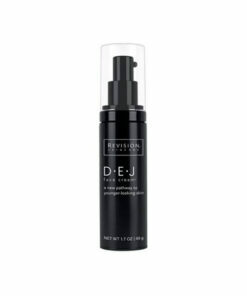 The Revision Skincare Vitamin C+ Correcting Complex 30% is formulated without oils, parabens, sulfates, phthalates, artificial dyes, and fragrances and is NOT tested on animals. Vitamin C (THD Ascorbate) – A very stabilized form of Vitamin C. Brightens the skin and provides antioxidant benefits. Squalane – Infuses moisture into the skin. Coenzyme Q10 (Ubiquinone) – Oil-soluble antioxidant. Vitamin E (Tocopherol) – Provides strong antioxidant benefits. It’s one of the most powerful antioxidants as it protects the skin from damage from the sun and environmental pollution, helps combat free radicals damage which can break down your collagen and result in wrinkles and sagging skin, and also helps brighten the skin and improves tone and texture. Does this Product Contain Other Antioxidants? Yes, it also contains CoQ10 and Vitamin E.
Does this product support long-term health? Yes, C+ Correcting Complex 30%™ features Prebiotic Innovation to help promote a healthy Microbiome. 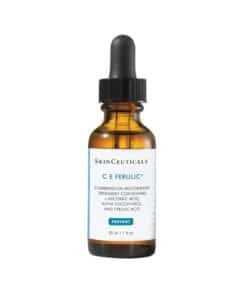 When Should You Use Vitamin C+ Correcting Complex? 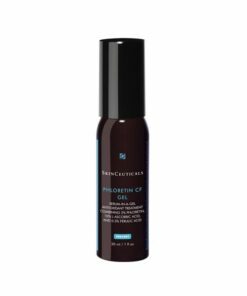 The Vitamin C+ Correcting Complex 30% can be applied prior to application of any moisturizer or sunscreen. This product can be mixed with Retinol or your Revision Skincare moisturizer such as DEJ Face Cream, Intellishade TruPhysical, and Intellishade Original or Matte. Use morning and evening after cleansing, but before moisturizing. 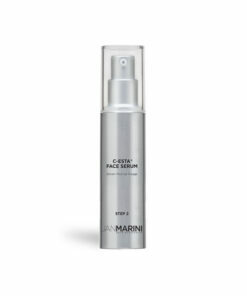 Dispense one pump into palm of hand and apply evenly to the face, avoiding the eye area. Be sure to use a daily sunscreen to further protect skin from environmental stressors. Ingredients: Water (Aqua), Tetrahexyldecyl Ascorbate, Pentylene Glycol, Hydrolyzed Eruca Sativa Leaf, Glycerin, Zea Mays (Corn) Starch, Cetearyl Glucoside, Hydrogenated Lecithin, Acetyl Zingerone, Palmitoyl Glycine, Cyclopentasiloxane, Glyceryl Caprylate, Plantago Lanceolata Leaf Extract, Diglucosyl Gallic Acid, Squalane, Sodium Carboxymethyl Beta-Glucan, Euterpe Oleracea Fruit Extract, Ergothioneine, Punica Granatum Extract, Tocopherol, Ubiquinone, Acrylates/C10-30 Alkyl Acrylate Crosspolymer, Triethanolamine, Tocopheryl Acetate, Leuconostoc/Radish Root Ferment Filtrate, Phenoxyethanol, Disodium EDTA, PPG-12/SMDI Copolymer, Xanthan Gum. Revision Skincare clinically proven, high-performing skincare products represent the furthest advancements in scientific skincare. Their medical grade formulations are rooted in rigorous research and testing and manufactured using the highest ethical standards, their products are never tested on animals. Using only the purest, most efficacious ingredients, the Revision Skincare collection was formulated to provide targeted solutions for enhancing skin’s appearance and reducing signs of aging. Rejuvent Skin Care is an authorized Revision Skincare reseller and sells 100% authentic Revision Skincare products. Shop Revision Skincare.